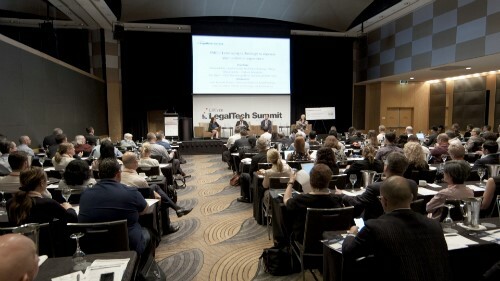 Allens has partnered with the University of New South Wales and the Law Society of NSW to confront the future of law. The Allens Hub for Technology, Law & Innovation brings together 22 UNSW academics and Allens’ staff to consider disruption to the law, lawyers and the legal system. 'Technological advancements are causing significant disruption at all levels of our economy, with the law in many cases unable to keep up with the pace of change,” says Allens’ partner and head of innovation Anna Collyer. She highlights the changes already seen to regulation, clients’ businesses and the way that lawyers work and says that the Hub will enable the firm to navigate ongoing disruption. “The response of the law and lawyers to innovation will play a huge role in defining the benefits Australian businesses derive from new technologies and ways of working. It is essential that the law strikes the right balance between helping and hindering in this period of disruption,” adds Ms. Collyer. The collaboration with UNSW’s academics will enable the Hub to quickly move research theory into real-world scenarios. This is something Associate Professor Lyria Bennet Moses, who will act as the Hub’s director, says will hugely benefit UNSW’s research into law and the legal system. “Legal systems all over the world are already working hard to keep pace with the rapid evolution of technological changes happening in our societies. Coming together to consider the kinds of technologies that will shape the environments in which we live and how they will impact the laws and governance of our communities is an important first step in addressing these challenges,” she says. A study of in-house legal departments in 11 countries reveals that use of outside counsel is still a major part of their operation despite growing internal headcount. The study from the Corporate Legal Operations Consortium features responses from 156 companies across a wide variety of sectors, together with non-profits; with large (U$10bn+) and medium ($1-9.9bn) turnover firms making up around 42% each and small firms making up the other 16%. Across all respondents the average internal spend was $221K in the year while external spend was $607K on average. 62% of every $1 spent by legal departments was for external legal costs. Biotech and pharma industry firms spent by far the most on all legal costs, twice the amount of tech firms and 5 times more than manufacturing and energy firms. For large companies, the average in-house legal team headcount is 296 while medium (74) and small (11) firms have significantly fewer lawyers and other staff. Sydney partner Murray Wheater has led a team from Ashurst advising Clime Capital’s $21.4 million capital raising to invest in ASX securities and other investments. This involved a non-renounceable entitlement offer and placement and the rarely used, listed redeemable convertible note instrument. Ashurst corporate partner Lisa Simmons, senior associate Rahil Patel and lawyers Rory McLeod and Pooja Anantha; and tax partner Ian Kellock and senior associate Sanjay Wayde; were also part of the team.